As I roam through Flickr... I came across an amazing set of photo's. 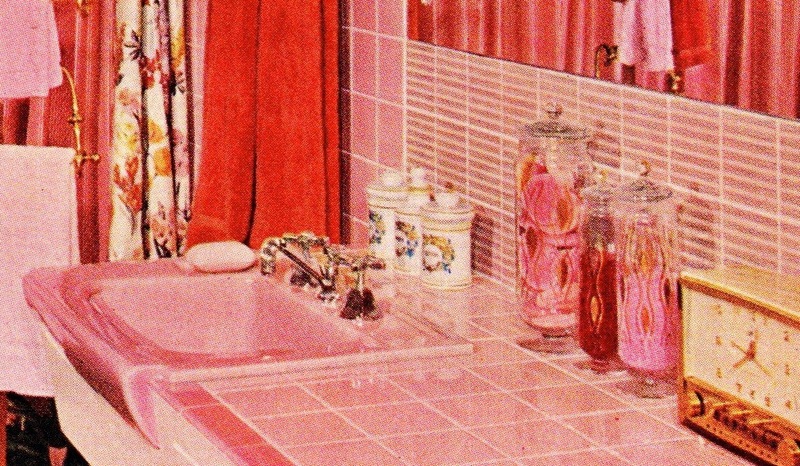 Brilliant mid century loving pictures from 1956. Better Homes & Gardens published these decorating books that are filled with gorgeous full color photographs. Go look at the full album. It is magnificent. What grabbed my attention was this incredible fabric. That had to have been a woven material. Versus how now everything seems to be a color print, on cotton fabric. 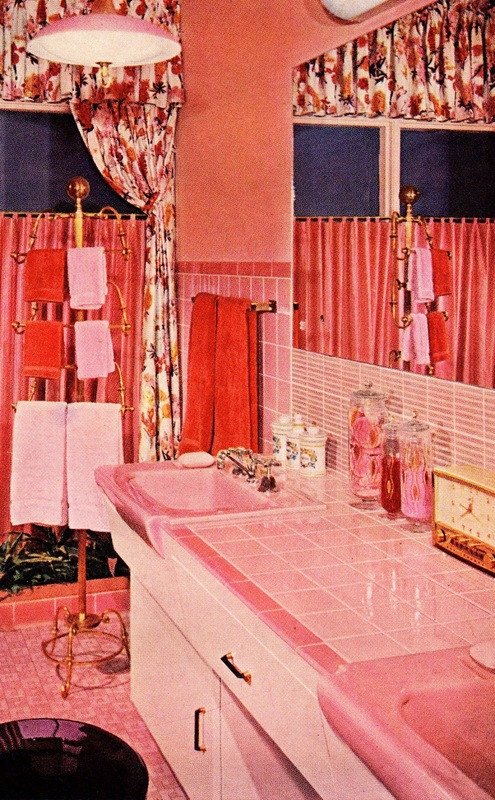 These were the days of big bold red and pink woven textiles. And this sofa is all kinds of perfect. Then add to it the red short shag carpet... and it becomes a divine moment in Mid Century decorating. 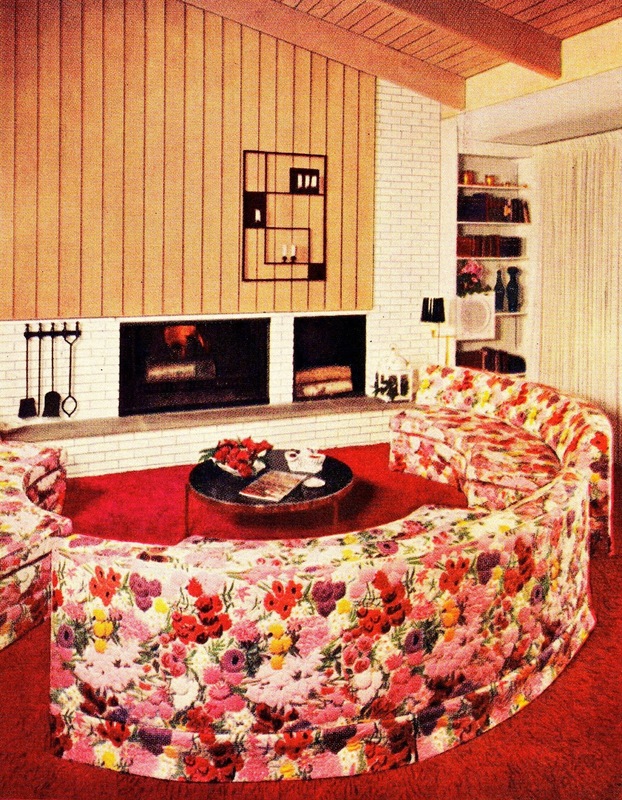 As I roamed through the pictures from 1956... of course there was a matching bathroom for this living room. I have looked for quality made glass containers for the bathroom counter... and they really do not exist any longer. Every one of them are made out of very thin glass. And will break at the least amount of usage. I bet these sweet jars with the gold design would have held up for decades.